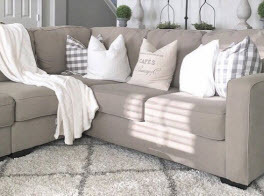 Throughout New London and Middlesex counties in Connecticut, AB Enterprise Carpet and Upholstery Cleaning has been providing cleaning and restoration services to residential homes and commercial businesses. We are fully licensed and insured, along with our experienced professionals having advanced training in the services we offer. To deliver our high standards and premium quality results, we combine our talented experts with exclusive professional grade equipment, tools and products. Needless to say, we include a superior carpet cleaning service to all of our valued residential and commercial customers. Professional carpet cleaning is essential for any home or business that has invested in a carpeted surface. Constant foot traffic, accidental spills of food beverages, and other messes, along with dust, dirt, pollutants and other debris not only blemish the surface layer of your carpet, but can easily penetrate deep down in the fibers. 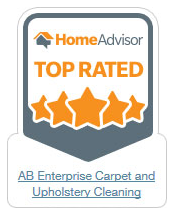 With proper maintenance, including a minimum of an annual professional carpet cleaning from AB Enterprise, your carpets can stay vibrant, beautiful, and last well past its estimated lifespan. 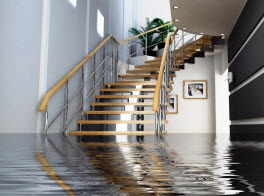 With AB Enterprises Carpet and Upholstery Cleaning, performing our carpet cleaning service, you can rest assured that the carpets in your commercial business and/or residential home located in the Greater Niantic, Connecticut areas are cleaned with meticulous and strategic methods and techniques. 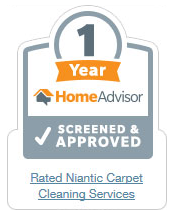 Cleaning the carpets in your residential home in Niantic, Connecticut and surrounding areas is our pleasure. 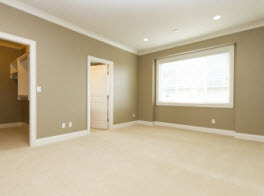 Lifting away stubborn stains, obvious high traffic tracking stains is a challenge for many homeowners, but with our talented technicians and effective techniques, stains are obliterated, giving your carpets surface a radiant clean. With AB Enterprises Carpet & Upholstery Cleaning’s detergents and equipment not only are stains lifted away, but deep root odors are diminished leaving a fresh, clean aroma. Finally, with a professional carpet cleaning from AB Enterprises Carpet & Upholstery Cleaning, the filth penetrating below the surface is extracted to revitalize your carpet. Even newer carpets need a professional cleaning. The grit and dirt deep in the fibers, in conjunction with every day walking causes a sanding like action that deteriorates carpets faster. Getting your carpets annually cleaned with AB Enterprises Carpet & Upholstery Cleaning increases the longevity of your carpets and improves the indoor air quality by removing the pollens and pollutants among other particulates to reduce asthma attacks and help minimize allergy triggers. Commercial carpets need tender love and care for the carpets in the building as well. 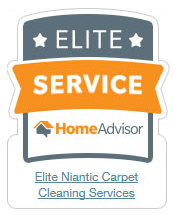 Whether you cater to the public and depend on customers, or have a staff to smoothly operate your business, the carpets need all maintenance, including a minimum of once a year professional cleaning from AB Enterprises Carpet & Upholstery Cleaning to keep your carpets looking amazing and showcasing the pride you extend to your business. Between employees and customers dragging in the dirt, mud, pollens, pollutant, germs and bacteria, having your carpets cleaned by a professional not only improves the esthetics, but it also promotes a healthier environment. 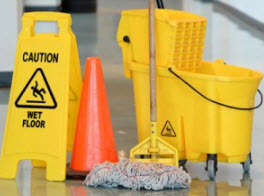 AB Enterprises Carpet and Upholstery Cleaning are proud to perform expert carpet cleaning to our commercial businesses and residential homes across New London and Middlesex counties in Connecticut. 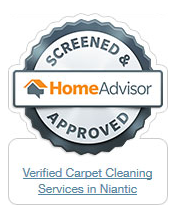 Our carpet cleaning services will give you 100% satisfaction. Not only will you be pleased with our efforts, but you will be sure to store our contact information in your phone for continued carpet cleaning, and relying on us with all of our additional services. Call us today to get your commercial or residential carpets cleaned quickly and efficiently.